You are here: Home / Recipes / You Saucey Tomato You! 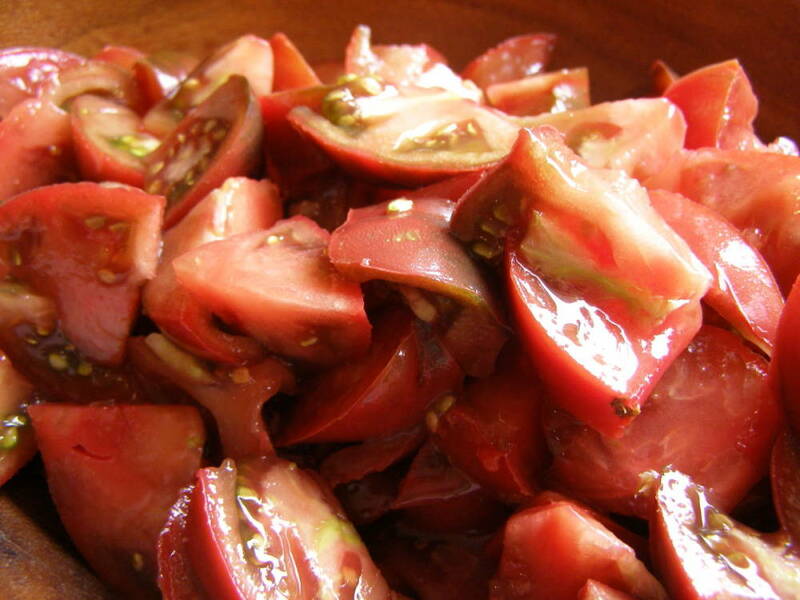 Right, time for the tomato sauce recipe I mentioned last week. Because I made it this week and is fresh in my mind! The Black Russians really come into their own when making this sauce. 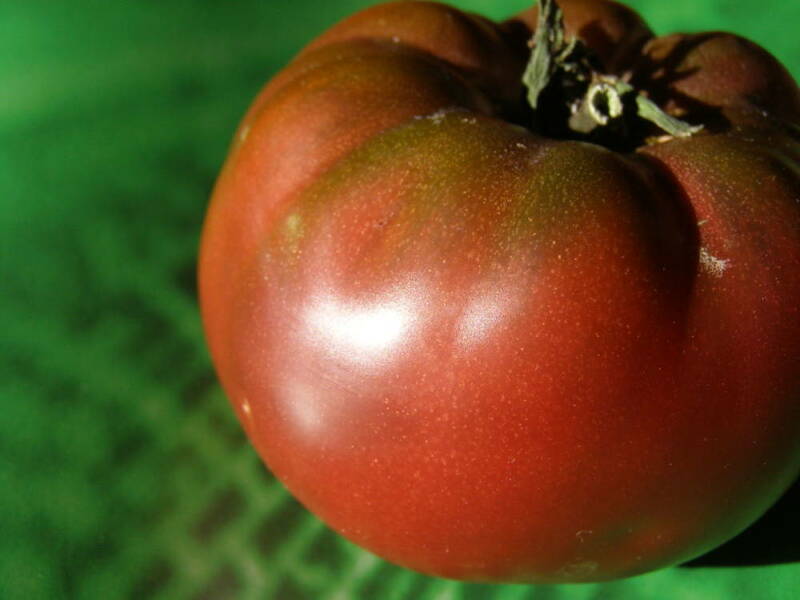 Like I’ve said before, I’ve been growing these tomatoes for years and since finding this recipe grow at least six plants of just black russians specifically to make vast quantities of sauce! 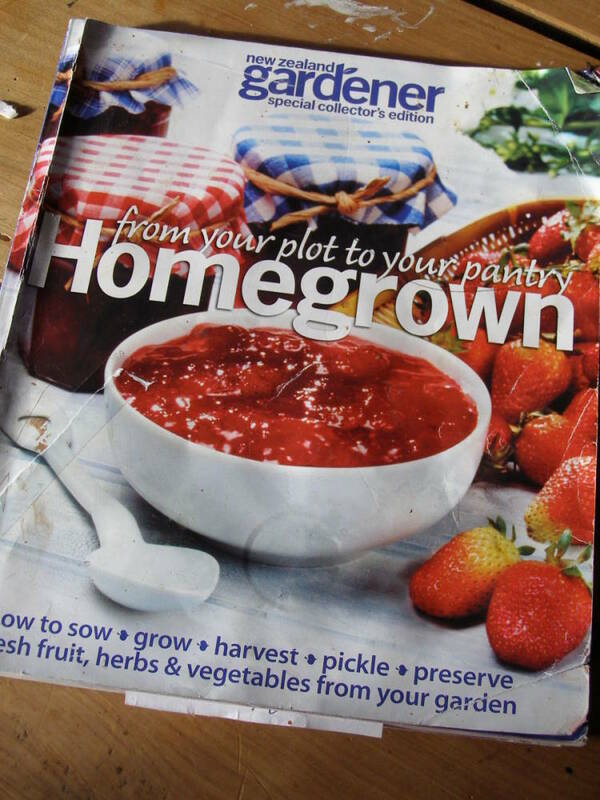 It’s simple, delicious and beats supermarket sauce any day~ I found the recipe in a New Zealand Gardener, special collectors edition “Homegrown, from your plot to pantry”. It’s the first one they put out (2007) and I’ve just had a look and it appears that you can’t get it anymore! My copy is tattered and well loved, perhaps I should take better care of it. They’re great magazines they put together for the Homegrown series, you can buy others that obviously haven’t sold out yet here. Will be passed down the generations! Thanks to Marian Knight, as it is her recipe that she contributed to the mag…. Put it all in a large pot and bring to the boil. Simmer gently for 2.5 hours, then boil rapidly for 10 minutes. 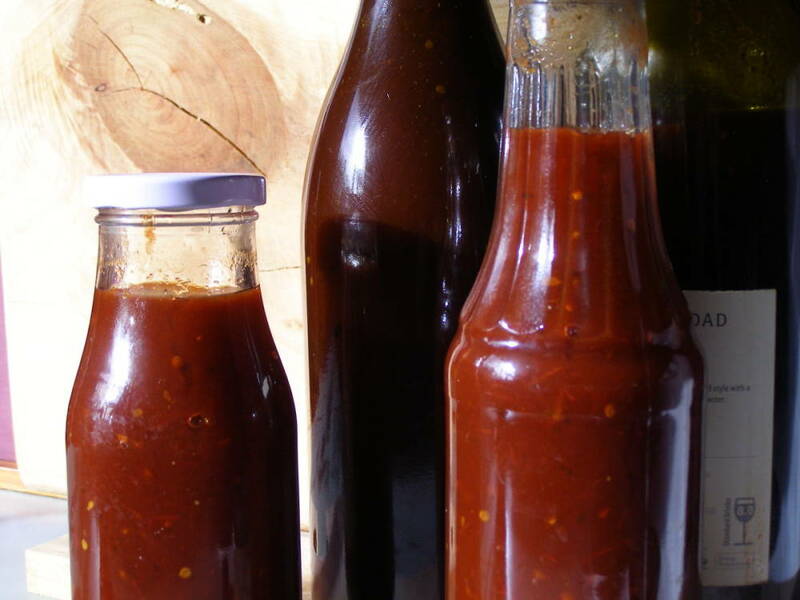 Remove allspice, process sauce (blender or stick blender) and bottle. Makes 3 wine bottles. *I couldn’t find allspice this year so I put in garlic and my own dried mixed herbs (thyme, oregano, sage). One year I put in chillis’ as well, perhaps two, really not enough if you actually want to taste a bit of chilli! To sterilise wine bottles I give them a good wash out then place in 100C oven for an hour, I soak the lids in boiling water for 5 mins just before sealing the bottles.